Are you tired of those rigid mobile plan? Well certain months I’m busier than usual I overrun my quota; and when I’m abroad I don’t use it but I still have to pay for it, what a waste. Recently I’ve just found out there’s a few hidden “gotchas” that I really don’t need in my mobile plan, oh those sneaky gimmicks that make me spend more. I’m taking things into my own hands now and trying YOODO, the 1st Telco in Malaysia with truly customisable mobile plan. No prepaid, no postpaid, check out my video on how to customize your mobile plan. This is a complete freedom over my choices in life. Can you imagine what if there’s a “no plan” mobile plan? Literally there is no “best” plan or package because, I can design my own mobile plan to suit my lifestyle and when you want it. 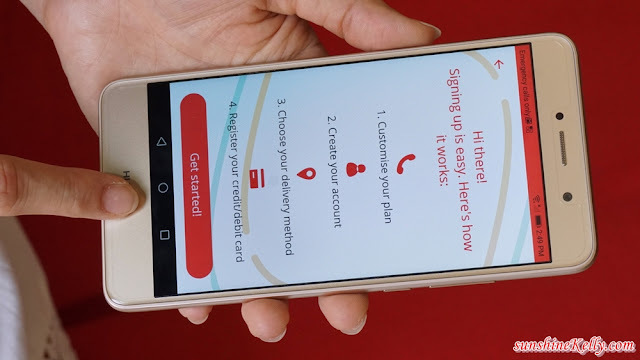 The YOODO plan is neither prepaid nor postpaid, as it offers the flexibility and ease of payment of a prepaid plan, and auto-renew. By the way, switching over to YOODO is free, the bill is borne by the mobile service provider and I can still maintain my existing number. I can just choose whatever I want for however long I want it for. It’s so hassle free and easy. Plus there are no hidden charges and no gimmick, and no contracts! Yay! When there is no contract meaning I don’t have to worry about late payments, everything is displayed clearly on the user’s dashboard. Therefore I can Opt in or out of monthly payments with the auto-renewal function. I also can opt to leave at any time without having to pay exorbitant opt-out fees, and return whenever I want to. So flexible right! YOODO is 100% online, you know there is no physical stores, nor face-to-face customer service representatives, all activity and interaction will take place online or through the mobile app. YOODO app is available to download on iOS and Android for free, MNP and international roaming is available and does not require VPN. 1. Download the YOODO app from Google Play or iOS App Store. 2. 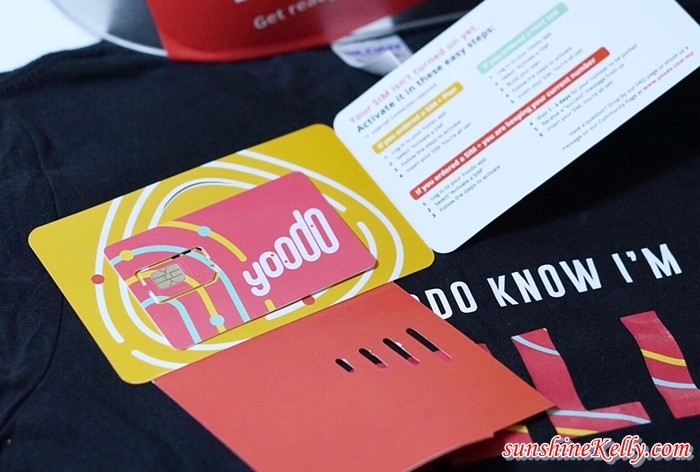 Order a YOODO SIM via the app or through the website. 3. YOODO will deliver the SIM directly to you within 2 hours for Klang Valley only for express delivery (chargeable at RM15) or standard delivery within 1 to 3 days nationwide. 4. Activate the SIM via the app. Through the app dashboard and timeline, I am able to customize my mobile plan, choose data, voice and sms. How much data I need verses voice and sms. I can manage my plan, track my usage, buy add-ons, change your plan all via the app. When it come to mobile plan, I need more data than anything else, voice is moderate as I still love to chat with my parents, loved one, friends and colleagues; make calls to companies or departments. Well, SMS is getting lesser and lesser each day because there are many online platforms for communications. All in my bill will come to RM118/month, now I only pay what I’ve selected. The bill payment is based on my monthly plan and can be set to auto-renew. I just need to save their debit or credit card details to enjoy this option. There is no VPN (Virtual Private Network) required for YOODO to run, and I can self-suspend, self-terminate and rejoin the service anytime, users only need to key in their card details one time for easy payment any time after that. Plus, Roam Like Home allows me to bring my existing data package with ne to be used abroad. That’s so cool when I travel. First time heard of this telco brand.. Looks cool n nice, can customize somemore..
nice sharing. its great to have mobile plan that can be adjust according to our need (and budget) coverage yoodoo ok tak? internet macam mana? Wow!! The YOODO is interesting!! Because ot was flexibility. Will try it. Does the line work well when we go underground or in the lift? Certain Telco reception is bad. So all i have to do is download the app then? Easy peasy. Thanks for the info btw. Wah bestnya. We can set based on our budget and everything was done thru online. And we can get the sim within 2 hours time.so good.